Looking for a cool down drink that is full of nutrients and tasty too? 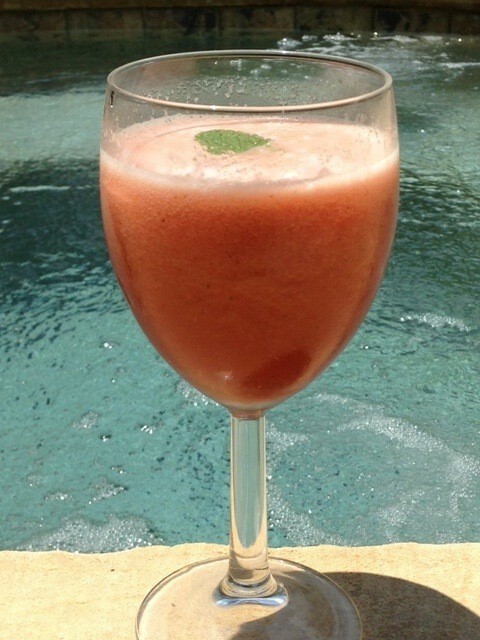 This is a quick and simple way to restore your electrolytes on a hot summer day by the pool. Check out this article about all the wonderful virtues of watermelons! Place all ingredients in a blender and blend on high until “slushy” consistency. (I like mine a little chunky.) . Garnish with mint leaf.